Sorry its been so long but what with family and work I havent been able to get out as much as I could have, so to make up for it here is where we are up to at the moment. 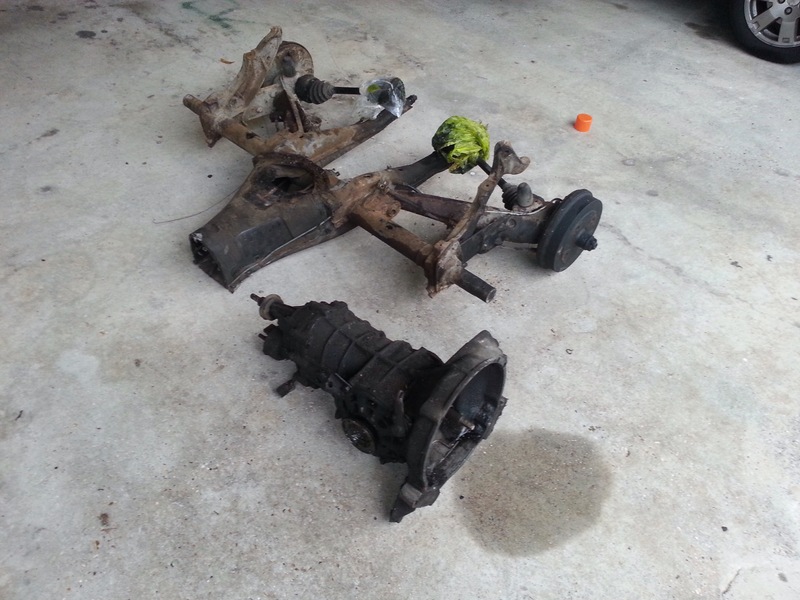 I have started to disassemble the VW IRS. Starting with the brake lines and slowly working my way inward, it has been a hard slog. Using limited tools and a lot of luck I think I have done a pretty good job. One of the worst part has been removing the drive shafts from the gearbox, which requires an 8 mm spline key (like a torx bit but with a 12 point key-way). The bolts have been an absolute nightmare due to half off the bolts are full of crap, and are stripped out requiring a bit of ingenuity to get them removed. Well I say ingenuity, a large hammer and knocking the spline key in as far as I could was the eventual solution. 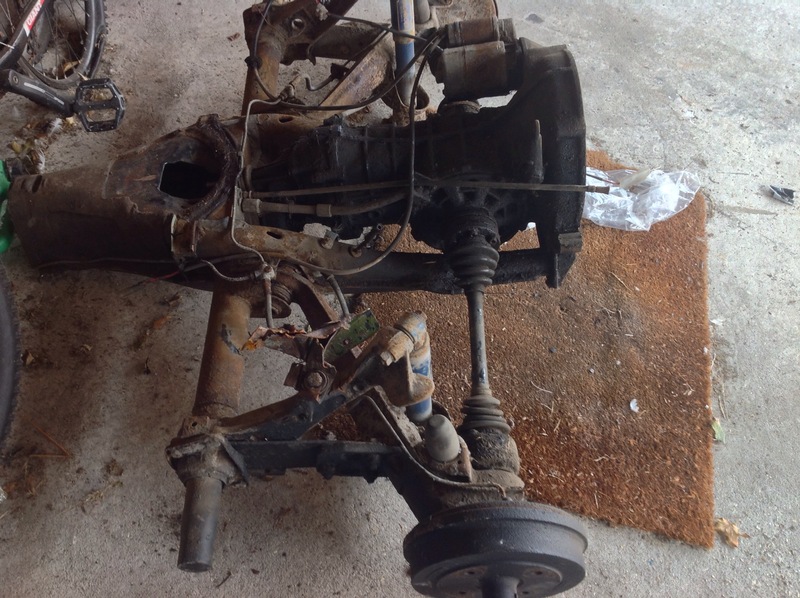 With the drive shafts disconnected, I was able to take the gearbox off the frame, which was much easier than I expected, and then start to the hub dis assembly. On a side note if you have an IRS chassis beetle check the bolts into the stub axle from the drive shaft, as I found 3 out of six of them on one side missing the head off the bolt! 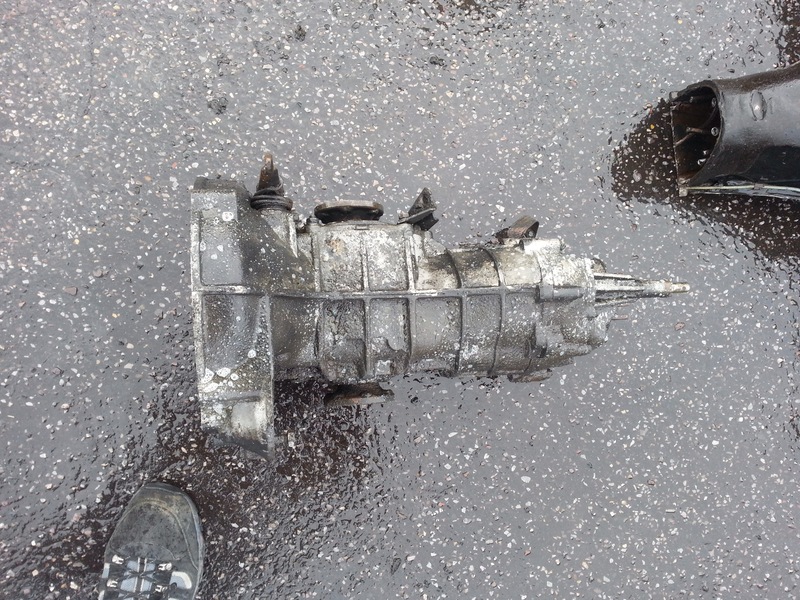 That cant be the same gearbox! The wheel hubs where removed after a fairly major struggle. After a lot of swearing, the scrounging of a beetle wheel, and the braking of two 2ft breaker bars (yes I managed to break a breaker bar, which is more ironic than anything Alanis Morissette could come up with), I gave up and took the whole lot down to the local garage who attacked the one hub nut I couldn’t shift with heat, man flab, and an 8ft breaker bar. I have very limited tools, so I have asked a local garage to remove the A frames, and the bearings and races to help with the final dis assembly and prep work (the spring plate bolts are stuck solid!). I will now be able, more or less, to get the rear end off to the sand blasters for a good clean up ready for final cut and welding of the frame, hopefully all before Christmas.